Donald Trump Jr. tweeted images of an email chain about the June 9, 2016 meeting. He said it was “in order to be totally transparent.” But that transparency came days after a misleading statement about his meeting with a Russian lawyer. We're analyzing his evolving statements here. 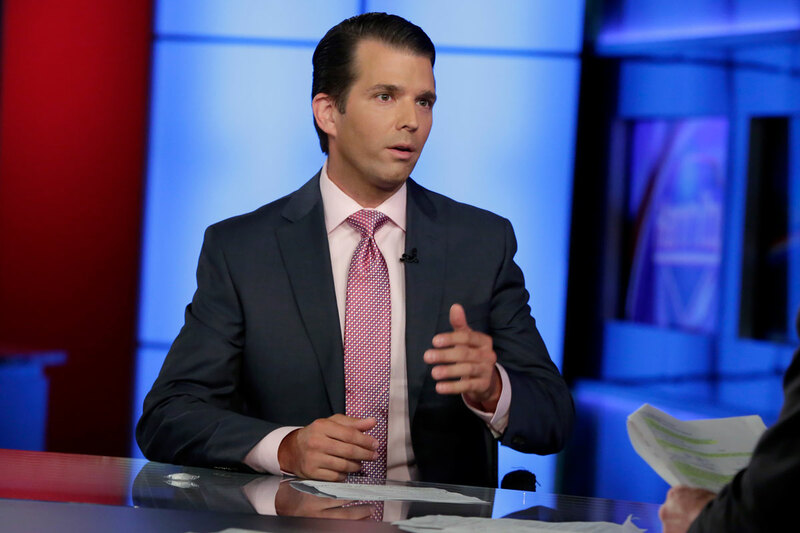 Donald Trump Jr., July 8 statement: It was a short introductory meeting. I asked Jared and Paul to stop by. We primarily discussed a program about the adoption of Russian children that was active and popular with American families years ago and was since ended by the Russian government, but it was not a campaign issue at the time and there was no follow up. I was asked to attend the meeting by an acquaintance, but was not told the name of the person I would be meeting with beforehand. Trump Jr., July 9 statement: [T]he woman stated that she had information that individuals connected to Russia were funding the Democratic National Committee and supporting Mrs. Clinton. Her statements were vague, ambiguous and made no sense. No details or supporting information was provided or even offered. It quickly became clear that she had no meaningful information. She then changed subjects and began discussing the adoption of Russian children and mentioned the Magnitsky Act. It became clear to me that this was the true agenda all along and that the claims of potentially helpful information were a pretext for the meeting. Trump Jr., July 11: You know, I don’t even know. I’ve probably met with other people from Russia … not in the context of actual — a formalized meeting or anything like that because why would I? On July 22, 2016, WikiLeaks released nearly 20,000 Democratic National Committee emails. Two days later, on CNN’s “State of the Union,” host Jake Tapper had this exchange with Trump Jr.
CNN’s Jake Tapper, July 24, 2016: Robby Mook, the campaign manager for Secretary of State Hillary Clinton — I asked him about the DNC leak. And he suggested that experts are saying that Russians were behind both the leak — the hacking of the DNC emails and their release. He seemed to be suggesting that this is part of a plot to help Donald Trump and hurt Hillary Clinton. Your response? Trump Jr.: Well, it just goes to show you their exact moral compass. I mean, they’ll say anything to be able to win this. I mean, this is time and time again, lie after lie. You notice he won’t say, well, I say this. We hear experts. You know, his house cat at home once said that this is what’s happening with the Russians. It’s disgusting. It’s so phony. I watched him bumble through the interview, I was able to hear it on audio a little bit. I mean, I can’t think of bigger lies, but that exactly goes to show you what the DNC and what the Clinton camp will do. They will lie and do anything to win. Donald Trump Jr.’s Evolving Statements of why he met with a Russian lawyer offering information on Hilary Clinton. Take a look at Trump Jr.’s comments.